In case you were wondering: Has spring sprung? OK, so May has finally arrived, and it looks like maybe Spring has finally sprung. But up until this week, it would have been hard to tell that spring was already here while walking around outside and observing the greenery, or lack of it. Depending upon which definition you use, there are actually two different dates that the mark the scientific first day of spring. Astronomical seasons refer to the position of Earth’s orbit in relation to the sun, taking into account equinoxes and solstices. Meteorological seasons are instead based on the annual temperature cycle and measure the meteorological state as well as coinciding with the calendar to determine a clear transition between the seasons. Since the astronomical seasons vary in length, the start date of a new season can fall on different days each year. This makes it difficult to compare seasons between different years and resulted in the introduction of the meteorological calendar. This splits the calendar into four seasons of approximately the same length. The astronomical seasons run approximately three weeks later than those of the meteorological calendar. All this scientific and statistical information aside, for most of us, and particularly those of us in the horticultural industries, the emergence of leaves on deciduous trees and the greening and growing of the grass signals the transition from winter to spring and the onset of the growing season. The flora that we are surrounded by does not know about our Gregorian calendar or the astronomical/meteorological movement of the planets. It is air temperature that is the most important factor in the “leaf out equation” regulating the budburst in woody plants; and the aspects of air temperature that most influence leaf-out timing can be broken down into two components: sufficient chilling in the winter, and warming temperatures in the spring that allow for the subsequent development of buds to the point of bursting. The term ‘chilling requirement’ refers to the exposure of plants to cold temperatures for a prescribed period of time before they will break dormancy. The specific amount of exposure to cold temperatures required to meet this chilling requirement differs among species but prolonged temperatures in the low fifties is the general threshold here in Chicago to initiate dormancy in late fall and to signal the plants to break dormancy in the early spring. 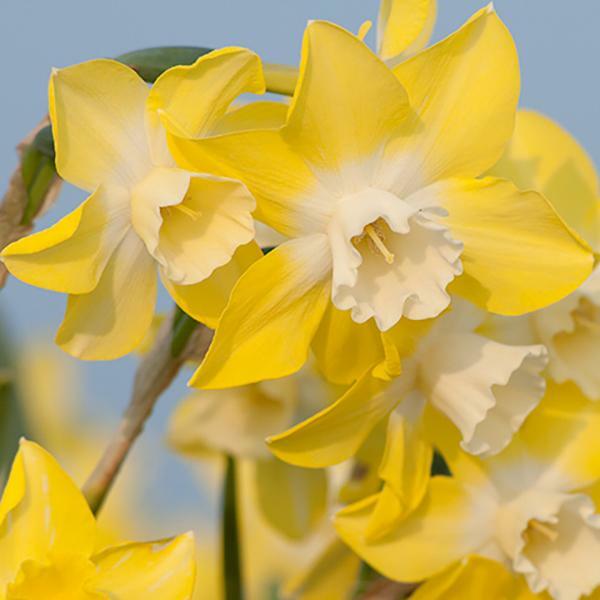 Temperatures here typically average around 51 degrees in the first half of April and 62 degrees for the last two weeks of the month, generally creating enough prolonged warmth to revive dormant plants and initiate the budburst. However, in 2018, we saw one of the coldest Aprils on record for the Chicago area; fourth coldest to be specific, with an average temperature through April 16th of 36.5 degrees; not conducive to helping plants break dormancy. And for the record, that’s the coldest it’s been in Chicago to begin April since 1926, when the average temperature for April 1-15 was 36.4 degrees. The coldest first half of April on record was in 1881, when the average temperature for the first 15 days of the month was 33 degrees, according to the National Weather Service. Warm temperatures are only part of the Spring equation that leads to the much-anticipated greening of our landscapes. Photoperiodism, the response of an organism to seasonal changes in day length, also plays a role in regulating the leaf-out of some woody plants. Not all species respond to photoperiod cues, and not all populations of a species have the same requirements. However, photoperiodism is directly associated with the movement of the planets, so it remains pretty consistent year to year in any given geographic region. Rainfall is the other variable part of the “leaf-out equation”. If April showers are supposed to bring May flowers, we may have to wait a bit for those too. April was not particularly rainy this year. As a matter of fact, we actually had ten times more snow than rain this April; approx. 2″ of snow fell and only .02″ of rain, (compared to an average of approx. 2″ of rainfall). So now you can put all of these fun cocktail party facts aside and don’t be alarmed if your trees and shrubs are not leafing out yet, or if your hostas, daylilies, and other perennials have not broken ground. The late hard frosts and light snow cover we saw in April may have spoiled the show for some of the very delicate early emerging flowering perennial plants, but for the most part, there will be no lasting damage as a result of the cold weather. Mother Nature has a way of protecting these plants by keeping them in dormancy until temperatures are tolerable for the newly exposed tender growth as buds open up. So be patient, and do not start pulling plants or planning replacements yet. Temperatures appear to have moderated and we are in store for a lot of sunshine in the short-term forecast so what you may have already written off as winter kill may surprise you and break bud in the next couple of weeks. This entry was posted in ILT Vignocchi and tagged garden, garden design, landscape, landscape architecture, landscape design, landscaper, landscapers, landscaping, landscaping company, landscaping contractor, landscaping contractors, landscaping service, landscaping services, lawn care service, lawn maintenance, lawn mowing, lawn service on May 2, 2018 by iltvignocchi. I recently came across an article in The New Yorker titled “Home Invaders” about the history and increase of stinkbugs in homes. You know, those lazy, ugly bugs that look like little brownish gray shields. Since I am in the landscape industry I have a pretty good working knowledge of insects, skeptical this would enlighten me even more, I delved in. Insecticides do very little to rid these bugs due to their shape, the way they feed and the way their legs hold them above the top of a leaf (which prevents contact with the insecticide). Those characteristics that make insecticides non-effective in farm fields are what make spraying them in your home ineffective as well. 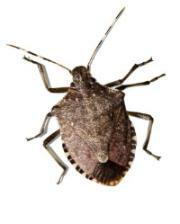 So, calling “The Orkin man” might prove costly and do nothing to rid your home of these pests. And a quick note, don’t squish or squash these guys as means of elimination, they got that name for a reason. My question? “So why do so many show up in my house?” Well, that is the same reason there are thousands of them in farm fields. When the stinkbugs find food, or a place to overwinter in your attic, they release a pheromone that summons their friends. That pheromone can last for a year which can attract further generations into your home. Is there good news? Yes, in summer the insects leave your home to reproduce and eat and in winter they enter, unfortunately in your home, a state called “diapause-a kind of insect hibernation.” This makes them extremely easy to catch in a cup and release back outside when they are hanging off your drapes or your walls. The article is completely worth the read, if you have time on a Saturday morning while enjoying a cup of coffee. At least that is what I did. This entry was posted in Uncategorized and tagged garden, garden design, landscape, landscape architecture, landscape design, landscaper, landscapers, landscaping, landscaping company, landscaping contractor, landscaping contractors, landscaping service, landscaping services, lawn care service, lawn maintenance, lawn mowing, lawn service on March 13, 2018 by iltvignocchi.